As an agency, we use strategy and design to help businesses communicate their message and realize their goals. In that endeavor, it’s not enough to just chat about our client’s work, we want to experience it. 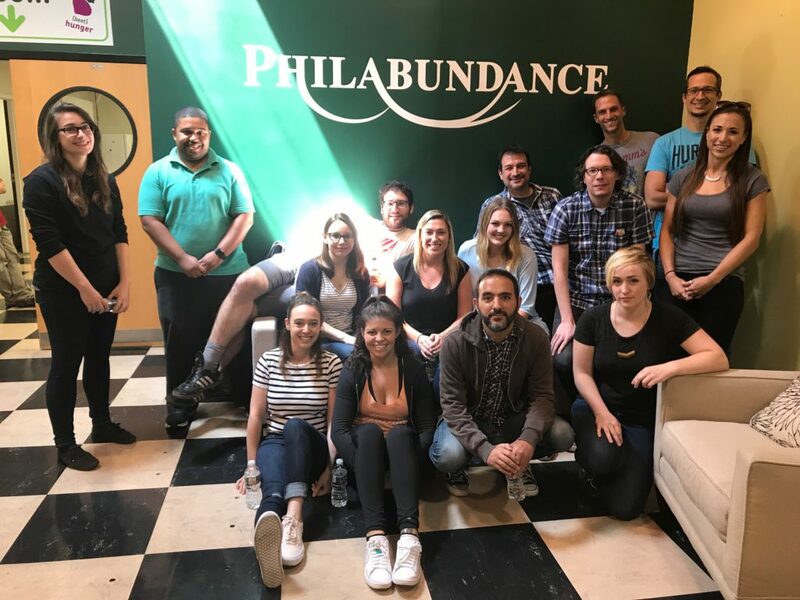 That’s why, in the midst of redesigning their new website, our team took a day to volunteer at the headquarters of one of the city’s most reputable nonprofits, Philabundance. Push10 recently partnered with this hunger-fighting institution to bring their website into a new age. While we spent much time discussing the organization and its mission from a management perspective, it was equally important to see first hand how the operation worked on the ground level. So, we scheduled a day, suited up and reported for duty. Not just for research, but also because, quite simply, volunteering is important. Local nonprofit Philabundance is on a mission to fight hunger and promote healthy living. 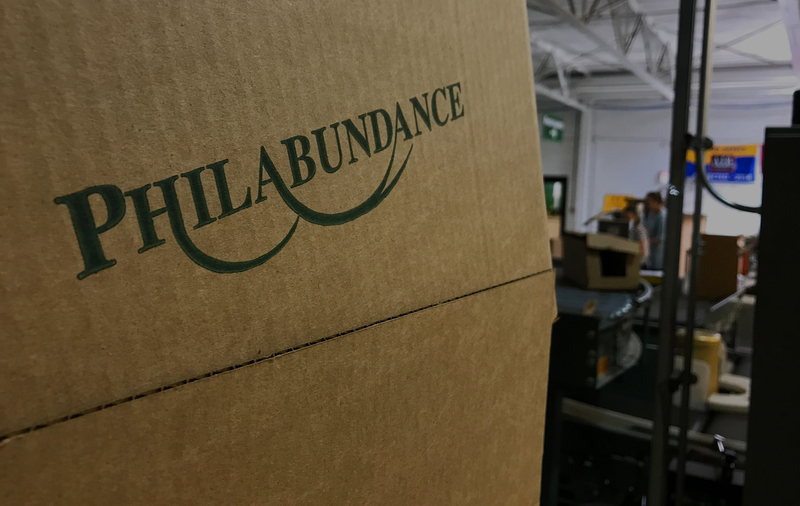 Started back in 1984, Philabundance has grown into one of the lead food providers for the surrounding Philadelphia area, with a network of nearly 350 member agencies including food cupboards, shelters, emergency kitchens, and more. In the last year, they have reinvigorated their efforts in the food recycling space, a core endeavor that the organization was founded on. They’ve added new staff and volunteer shifts focused on harvesting excess goods from farms and markets, and rescuing edible produce deemed “unfit” by grocery stores that would otherwise be thrown out, and delivering it to hungry families. We arrived at the headquarters for our volunteer orientation 15 min before our time slot started to get settled and store our personal items. After an informational video was screened, we were given a quick facility tour before being split into groups, given our assignments, and put to work! The mission for the day was to put together boxes for Philabundance’s program crafted for senior citizens, who account for 15% of the people they serve. These boxes contained health-conscious pantry staples, along with a flyer full of healthy eating tips and recipes, all designed to accommodate certain senior-specific limitations. Some of the boxes even included personalized greeting cards created by children to brighten up their day! Our team was involved in the project from start to finish, from assembling the boxes to loading them up for shipping. In only 3 hrs, we packed thousands of boxes, contributing to the 90,000 people Philabundance feeds weekly! Audience empathy is a critical puzzle piece for any project, and a byproduct of this team adventure was undoubtedly the peek behind the scenes of Philabundance’s organization. 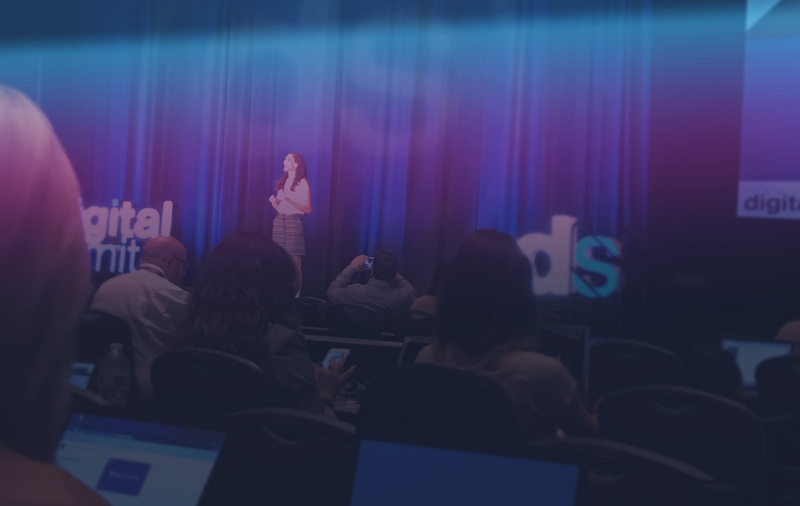 What’s more, we discovered new ways to stay involved with our charitable client throughout this redesign process and beyond. Our day of service was an invaluable experience that left us recharged, inspired and full of new ideas. Sign up for our e-newsletter to see those ideas come to life later this year! Want to join in the fight against hunger?? It’s easy! Find out more about volunteer opportunities and other charitable events on the Philabundance website.